When you’re stressed out you hold your breath. You likely don’t mean to, but stress causes a physiological demand on your body which results in a cascade of responses – changing your brain, your hormones, and even how you breathe. Oddly though, just changing your breath, you can slow the release of cortisol, epinephrine and norepinephrine so that you start feeling more like a cuddly lamb and less like a rhino about to charge a bullseye. 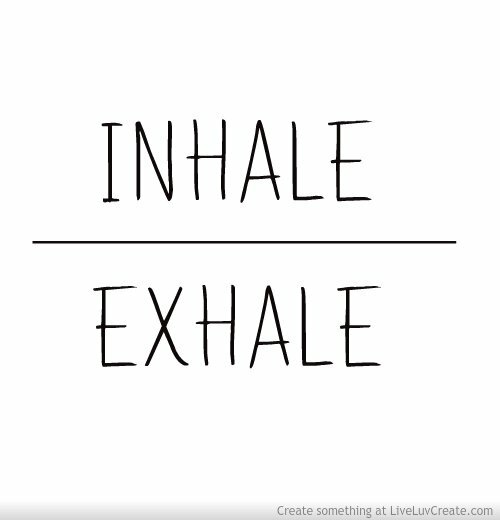 The way we breathe can determine if we add to our current level of stress, or turn it around, literally changing our physiology, and reducing a state of hyper-vigilance resulting from the ancient fight-or-flight response. If we don’t learn how to mitigate this stress, it can contribute to auto-immune diseases, diabetes, depression, substance abuse, and cardiovascular disease – and make us, well, not so fun to be around. Conversely, deep breathing, and other pranayama exercises practiced for centuries throughout India, have proven to slow aging, reduce stress, and can even induce a mild, euphoric high. Whether you’ve heard about the importance of breathing from practicing meditation and yoga, or you just notice that you feel better when you take a deep breath, it should be evident that the way you fill your lungs, holds some deep secrets for changing your physiological state. Funny then that the 17,000-30,000 breaths we take each day are usually taken for granted. 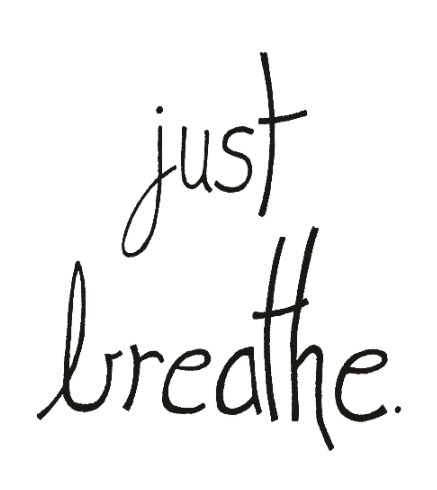 We hardly notice how we go about breathing, and most of us do it all wrong due to a conditioned response to stress. When we were small, we breathed like we should – we took deep, expansive breaths. We screamed with joy at the top of our lungs (with a fully supported, diaphragmatic breath) that no one had to teach us. Over time, our breath became contracted and small, as we learned to make ourselves small in response to stress, and anxiety. We literally started to hunch over, closing off the pathway of the lungs and trachea, and began to unconsciously contract our muscles so that even a ‘full’ breath couldn’t fill a tiny carnival balloon. 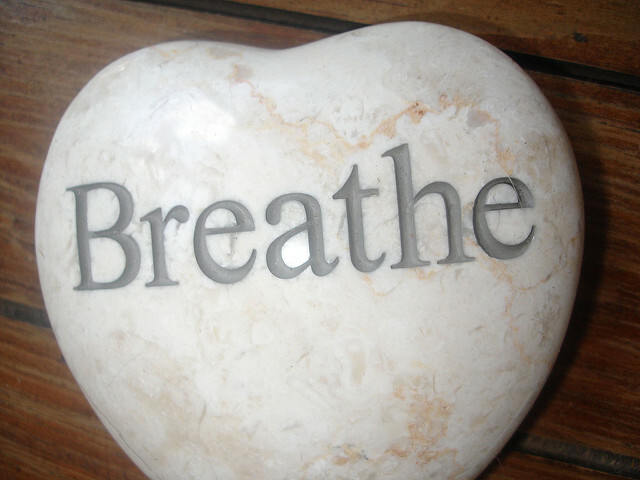 Most adults now take what is called a ‘stress breath’ – a constricted breath that only takes place in the upper chest. If you ask them to take a deep breath, they will likely do so by lifting their shoulders into their ears, and hardly expanding their abdomens so that the diaphragm can drop and the lungs can fill completely. This style of breathing amounts to slow-torture, or low grade oxygen deprivation. Our blood literally becomes choked with toxins, and lacks enough oxygenation to fuel healthy decisions, joy, or elevated emotional states. If you do a little test, you will also notice that you likely are only breathing through one nostril – often the right or left, dependent upon your dominant personality traits. If you only breathe through one nostril, you also aren’t using your whole brain. This means you are cheating yourself when it comes to problem solving, meditation, and even just having the energy to get up every morning. Bhastrika paranayama, another breathing practice can help to control yo-yo emotions. Most of us are slaves to our emotions – they control all our actions, which become reactions, instead of a mindful choices in the moment. All the subtle channels throughout the body (more than 700) become cleansed when we practice Bhastrika, allowing our chakras to function as they should, and not become clogged with old, worn out emotional responses. 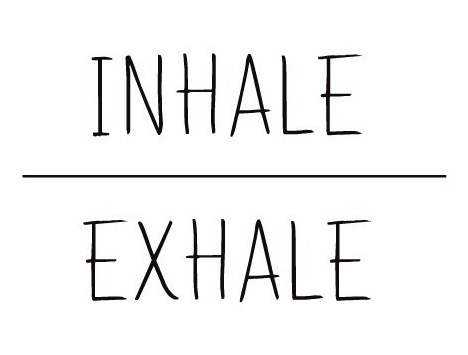 This breathing exercise can also revive you when you feel sluggish, replacing the need for coffee, even. It is named after the old “bellows” used to pump oxygen into a fire, and translates from the Sanskrit to mean “Bellows Breath.” This is an energizing breath that you will want to practice before a workout, when you wake up in the morning, or during a mid-day slump, not when you are about to retire at night. It doesn’t matter if you are practicing energizing breathing or deep, calming breathing in a slow and smooth manner, you will increase oxygen to your brain, fight the body’s tendency to dump stress hormones in your blood when you are feeling overwhelmed, and counteract the fight-or-flight response. Just a few minutes of mindful breathing, even when you are sitting in your car in traffic, in a business meeting or just after you rise in the morning can set you up for an entirely different experience of your day.